Listen and learn about the career and life success of Katie Kroeger-Davis 2016. Commuting from Orange County, being married, and more. Download our podcasts for offline listening. 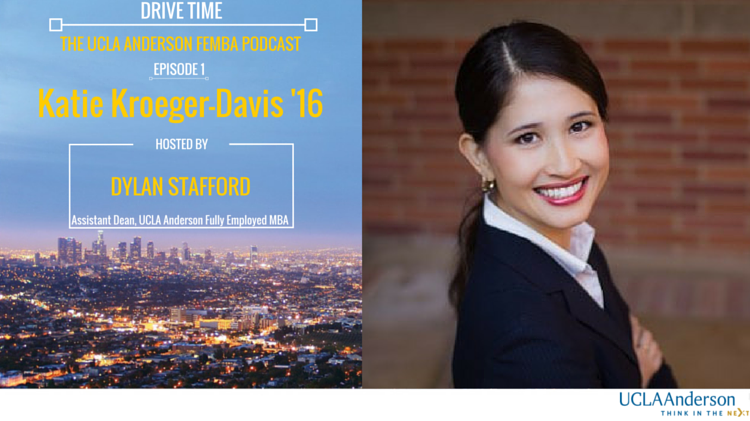 This entry was posted in *Podcast: Anderson Women, *Podcast: Career Wins, Anderson Women, Career Victories, FEMBA Spirit, Podcasts, Star Profiles and tagged Best Part-Time MBA, Dylan Stafford, FEMBA, Katie Kroeger-Davis, UCLA, UCLA Anderson, UCLA Anderson FEMBA by Dylan Stafford. Bookmark the permalink.